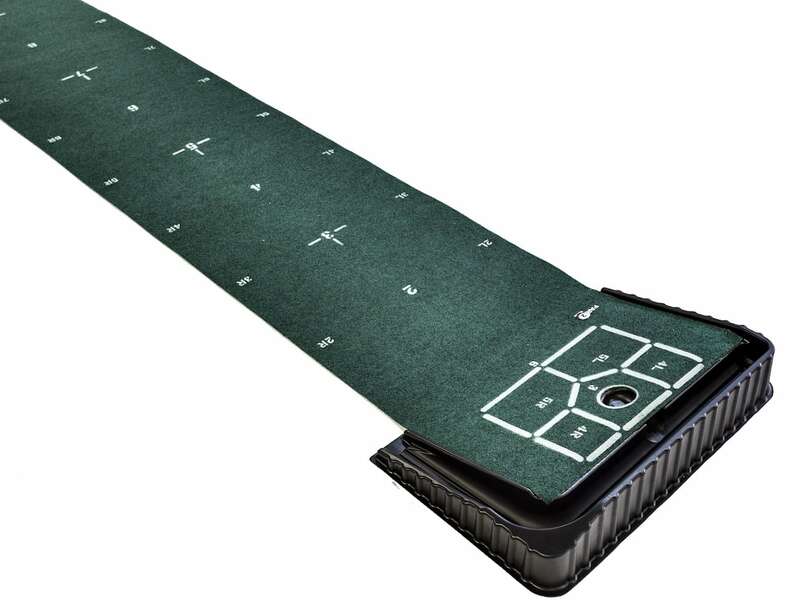 Practice putting anywhere you like with the PAR2 Portable Putting Game, which comes with six different games. 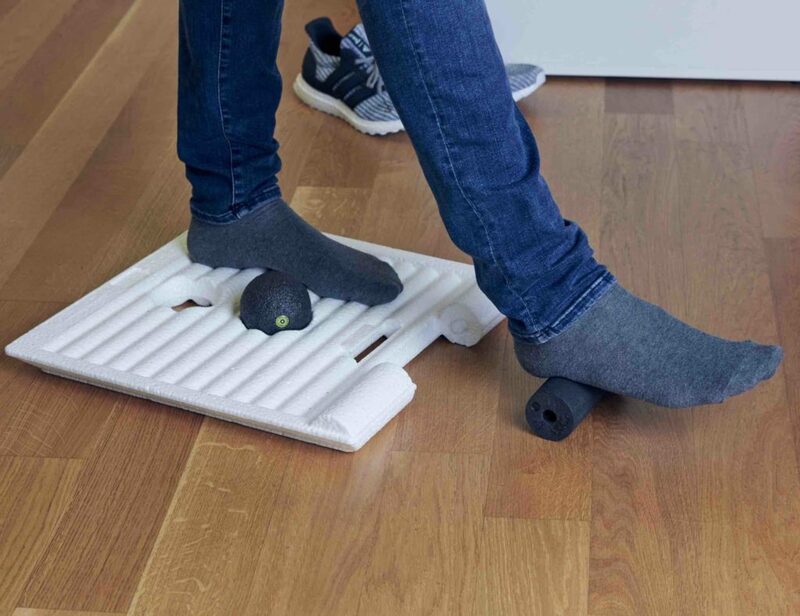 Take your putting anywhere with the PAR2 Portable Putting Game. 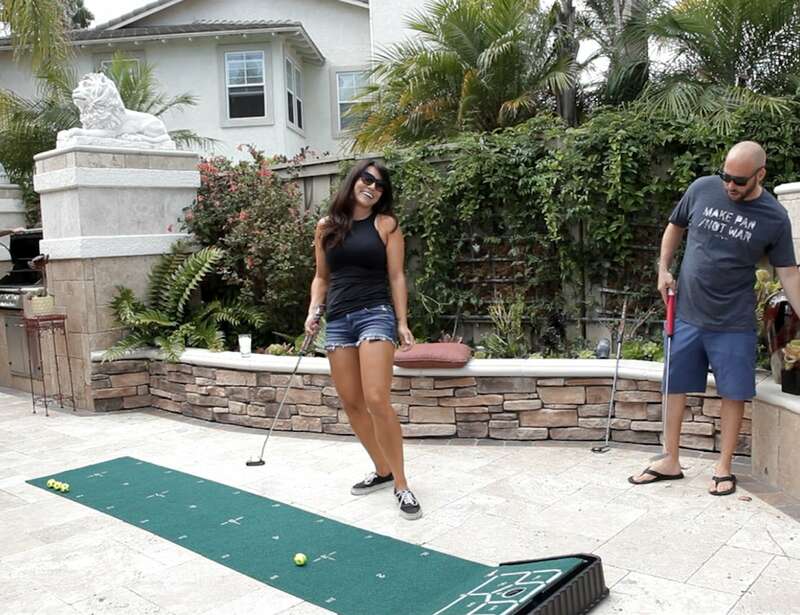 This isn’t your dad’s boring old putting mat. This travel-friendly golf accessory comes with six different games. 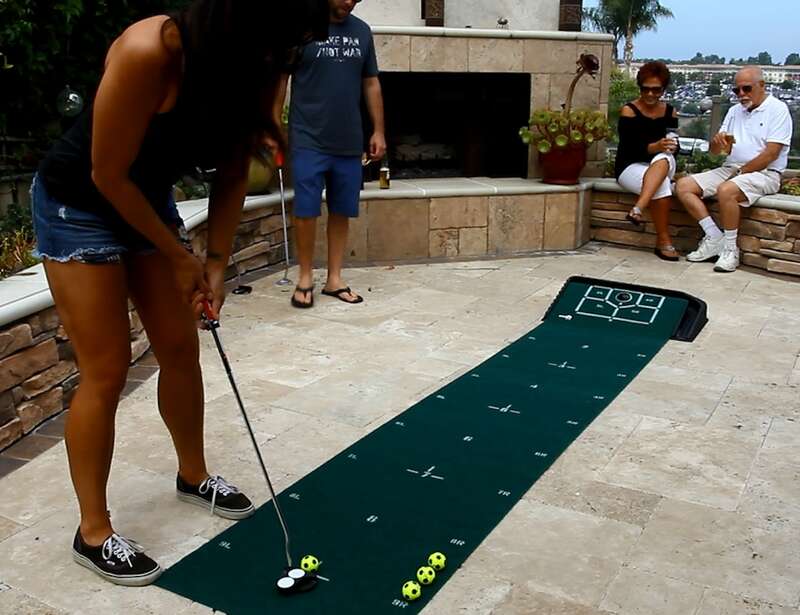 You can use PAR2 to practice your golf skills at home or entertain friends at your next BBQ or tailgate party. 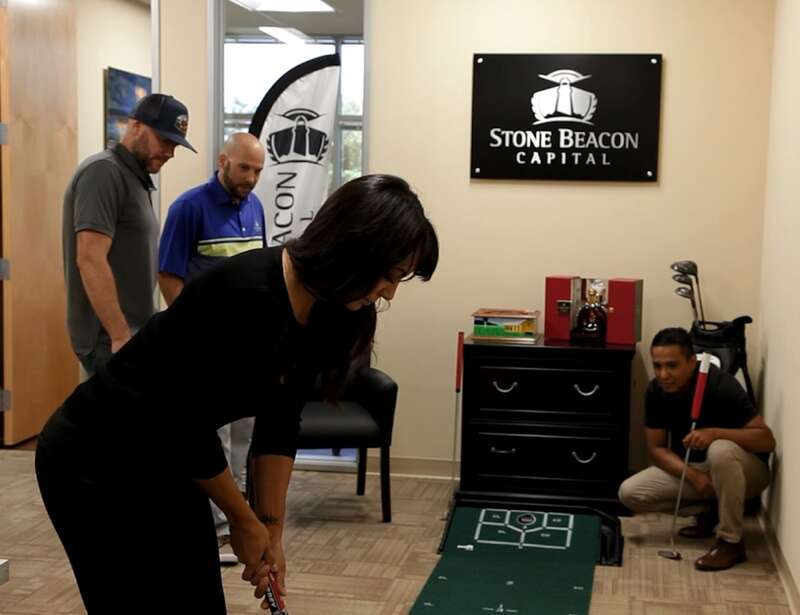 You can even play a quick 9 or 18-hole game during your lunch break at work and maybe win a free lunch. Unlike standard putting mats, PAR2 is designed for competition and plays like a real round of golf. The PAR2 hole is 2.5 inches wide so you’ll have to bring your A game when playing and practicing. The smaller hole and extra wide mat make it a real challenge and force you to focus on every putt. The putting game comes with a scorecard with two courses, the Executive or Pro course, or you can design your own 9 or 18-hole course.